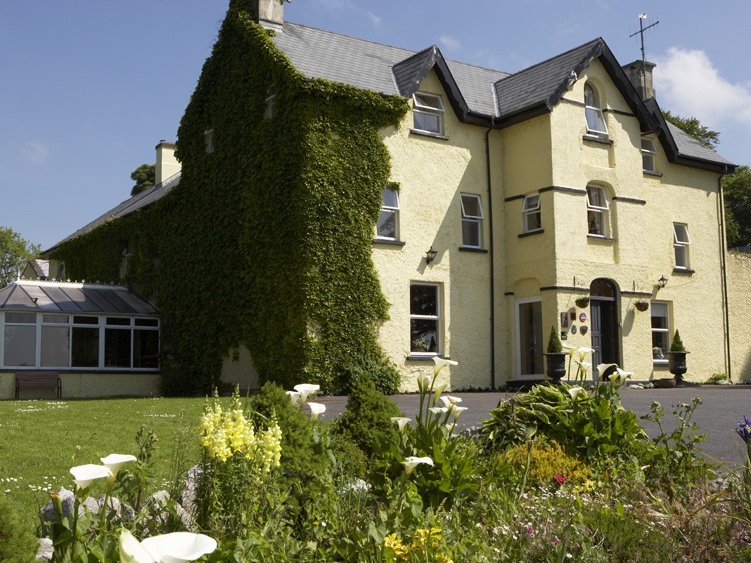 Carrygerry Country House is a Charming "Old World" Country House, which was originally built in 1793. Located near Shannon, in the scenic countryside of County Clare we are less than 10minutes from Shannon International Airport. Here, you will experience a true Country House atmosphere of peace & tranquillity, with antique furnishings & glowing fires. Carrygerry has eleven bedrooms, all of which are en-suite with each one individually styled and decorated in keeping with the character of the house. Of the eleven bedrooms we have four rooms which are Superior. These rooms have the extra luxury of a Four Poster bed as well as the wonderful views of the countryside. Our Superior bedrooms are decorated to a high standard with antique furnishings guaranteed to give a great nights rest. Our 2 Classic Bedrooms also overlook the beautiful countryside with views of the River Shannon. Our Courtyard bedrooms are our Standard Bedrooms which have all been decorated to the same high standard offering an excellent location to rest yourself after a busy day touring the Wild Atlantic Way. Our Conservatory Restaurant boasting idyllic views is open 5nights a week from Tuesday to Saturday (closed Sunday & Monday Nights for dinner). Here at Carrygerry Country House we pride ourselves on sourcing only the finest local and organic ingredients to produce a wonderful dining experience. Our fine reputation for quality food with service guarantees that you have a memorable experience. We have won several awards over the years including "Country House of the Year", "Great Taste Gold Star" and numerous "Blas na hEireann National Food Awards" which include Gold, Silver and Bronze for our food know widely as The Carrygerry Range. At Carrygerry Country House we produce The Carrygerry Range inhouse which include our widely renowned Creamy Seafood Chowder, Patés, and our extensive selection of Jams, Marmalades, Chutneys, Dressings, Sauces and much more.